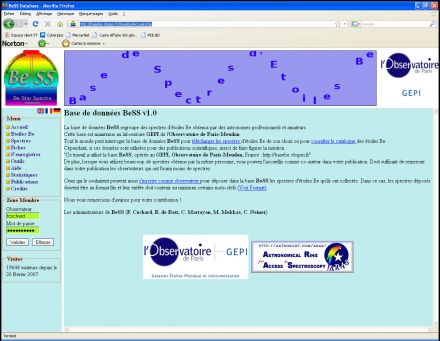 BeSS is the Be Star Spectra database, developed by GEPI, at Observatoire de Paris. This is a professionnal tool, which allow amateurs as well as professional observers to upload and access spectra of Be stars. If you want to access to raw data that you’ve seen on ArasBeam, refer to BeSS !